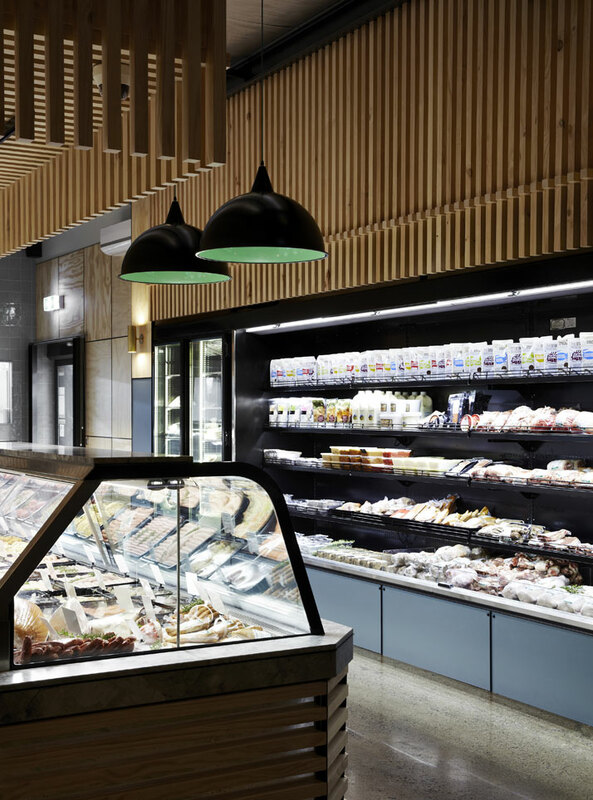 There was a time when shopping at the local butcher’s shop was a rather coarse and uncivil experience complete with sawdust covered floors, grisly scenes and the stomach-churning aroma of fresh meat. 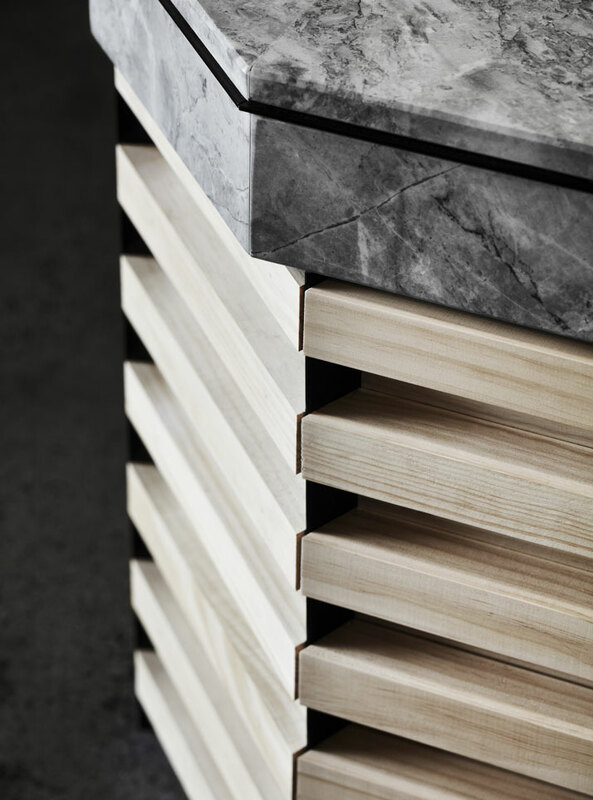 Whilst the butcher was typically an affable rotund gentleman, it was (and often still is) the premises that were crude and unrefined as the design and physicality of the traditional butcher’s shop was patently overlooked. 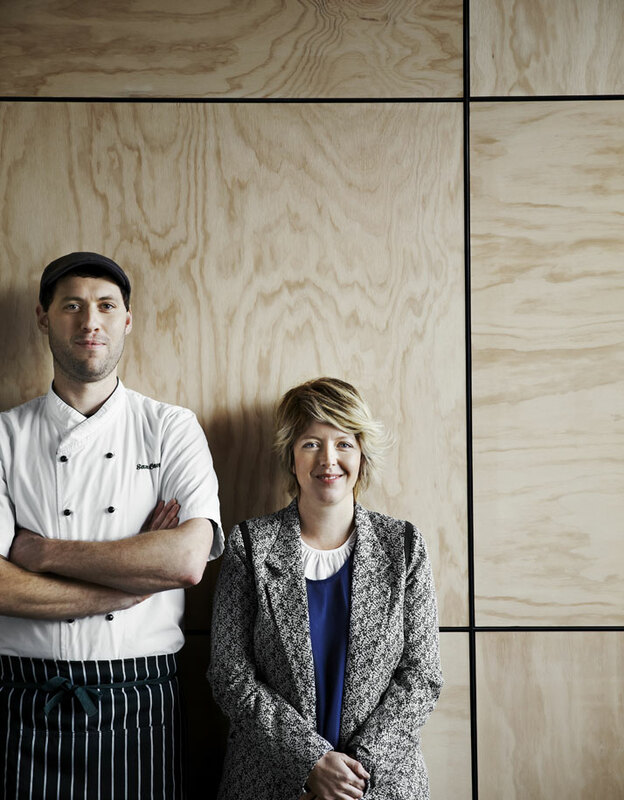 Sam Canning and Fiona Lynch, photo © Sharyn Cairns. 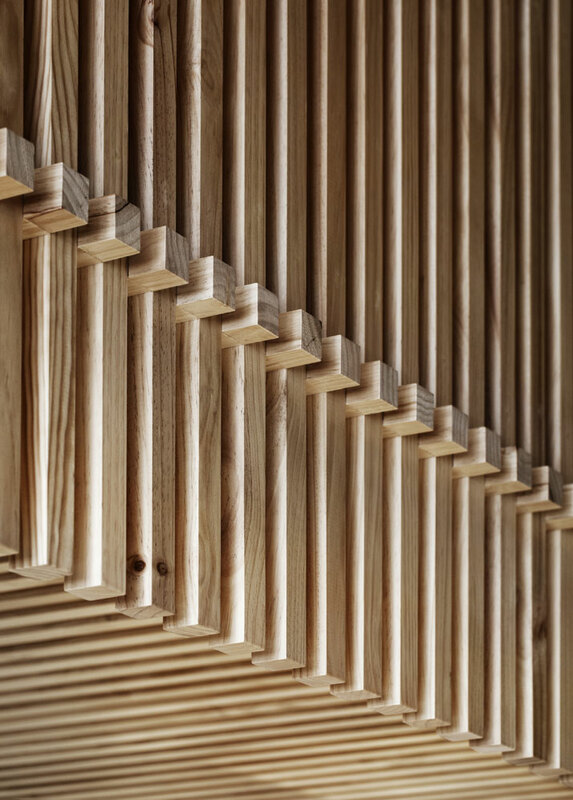 With urban redevelopment and the gentrification of many neighbourhoods around the world, we are seeing a much greater emphasis being placed on the design of the physical environment in which we purchase our daily goods and services. Melbourne, the capital of Victoria in south east Australia, is an example of a city that is bearing witness to an increase in its overall quality of life. Ranked number 3 in Monocle’s top 25 liveable cities in 2014 (issue 75, July/August 2014), Melbourne has come to be known for its public transport, low crime rates, excellent cultural offering, not to mention its a shopping nirvana status. Despite its urban sprawl, Melbourne is one of the southern hemisphere’s hippest cities. Additionally, it is arguably a city with a forward-thinking, open-minded and creative hipster culture (couture coffee is just one of the big hipster-esque offerings there). 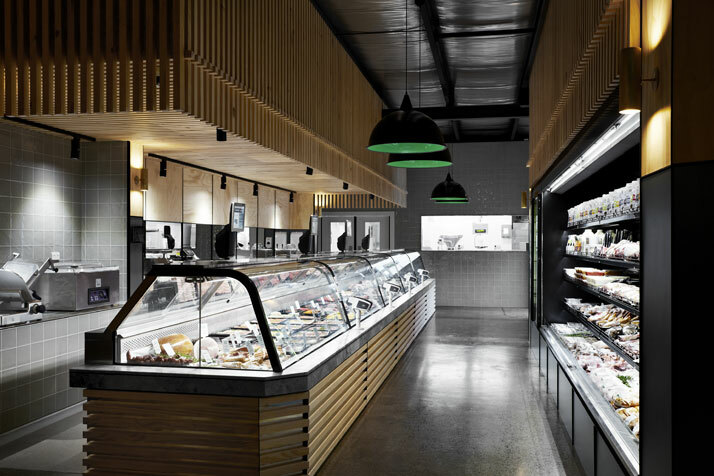 In this spirit, Cannings Free Range Butchers (based in Melbourne’s Hawthorn and Kew) is a venture that is a direct antithesis to the more traditional butchers mentioned above. 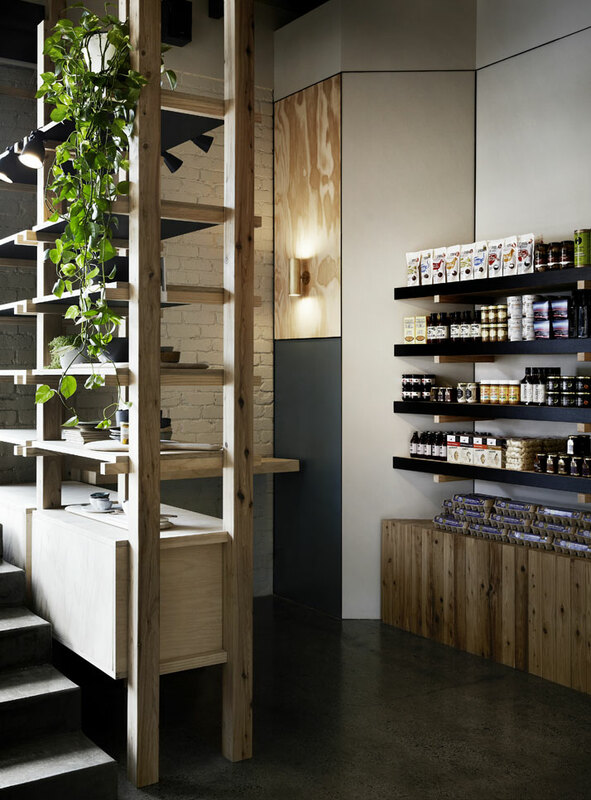 Everything on sale is free range, all of the produce originates in Victoria, the business is carbon neutral and to top it all off, Cannings also donates to Animals Australia. Its founder professional butcher Sam Canning who established the shop in July 2010, previously worked for The Ginger Pig (a boutique-style chain of butchers in London), an experience that will doubtless have had some influence on the ethos and design values underpinning Cannings Free Range Butchers. 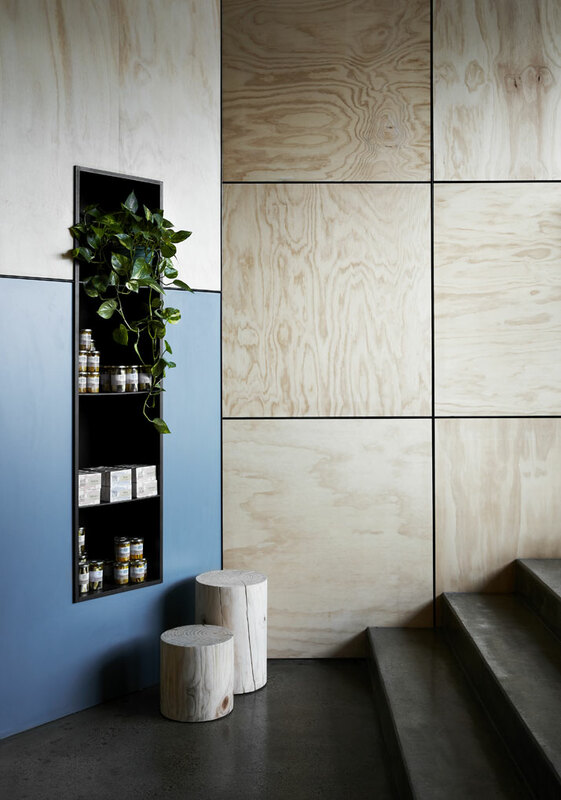 Cannings’ second and new flagship store, located in a 1960s building in Kew, was designed by the Melbourne-based multidisciplinary design studio, Fiona Lynch. 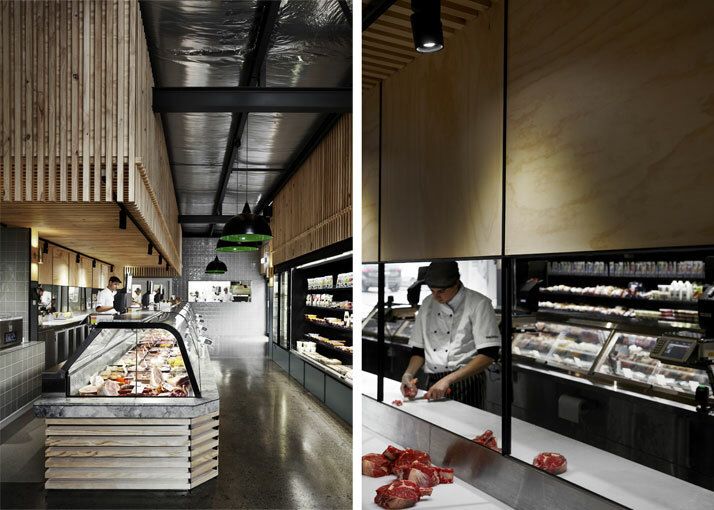 The resulting space is a striking, tasteful and elegant butchery befitting a purveyor of ethically farmed meats. 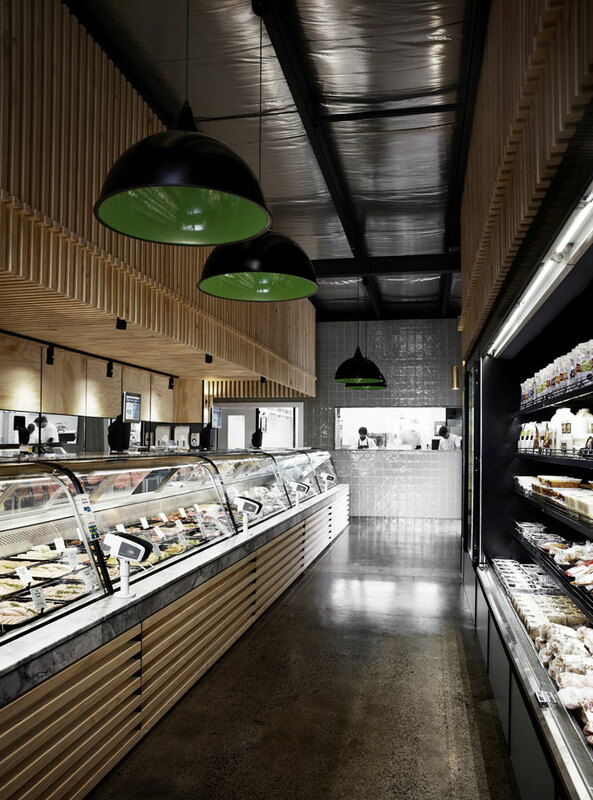 The shop itself has a visually strong, modern and masculine aesthetic that is clearly manifested in the central island fridge (also the shop’s focus point) made out of stone, polished chrome and timber. 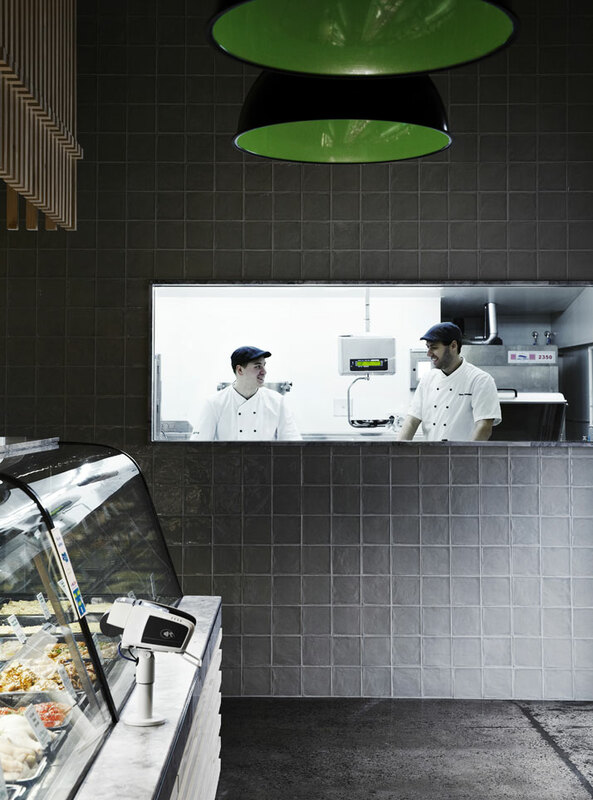 Further defining features include a glass recess in the rear grey tiled wall allows customers to peer in at the butchers as they work, clean lines which add to the store’s minimal character and wood gridded walls and battens which provide warmth and texture. 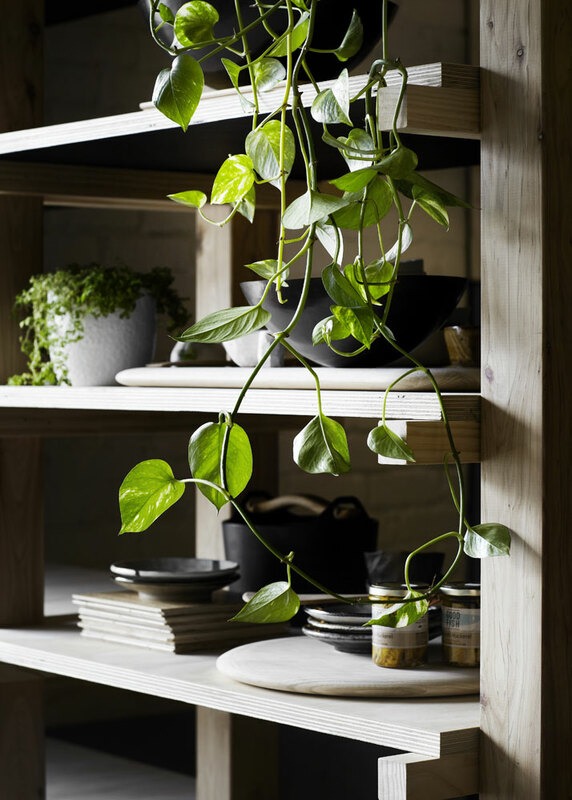 Lighting details and plants add further colour and personality to the space that is both alluring and inviting. 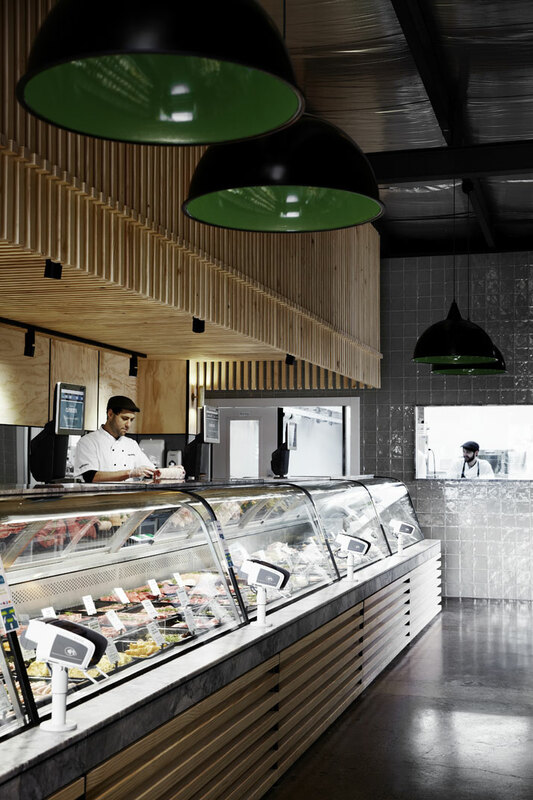 Also working to educate consumers (they also host butchery evenings), Cannings Free Range Butchers is that new breed of butcher (and retailer) that clearly challenges a tired status quo where customers are ensured of a shopping experience that promises quality and satisfaction above everything else.